And so the wait begins, or continues… Either way, it seems the gang have hung up their flat caps, and it’s now down to the behind-the-camera wizards to get season five of Peaky Blinders ready for the screen. Filming officially wrapped on the next series today (January 18), meaning we’re one big step closer to getting Tommy Shelby and his lovable but dark and dysfunctional family back in our lives. Now, however, the real wait begins, as the show is set to appear on BBC One for the first time – having been on BBC Two for the first four seasons – later this year. Sharing a photo on their official Instagram, the Blinders posted a picture of lead actor Cillian Murphy on set with the new season’s director Anthony Byrne. This was taken on Day 1.. We wrap tomo after 18 weeks.. I could not have found a better collaborator, ally, friend, actor to go on this journey.. it’s been quite an adventure and it ain’t over yet.. Season four ended over a year ago, so it’s been quite a while for fans of the show to wait and see what happens, as the Shelby clan moves into the 1930s, where they take on politics, the financial crash, the great depression, and the rise of fascism. We also know that Tommy Shelby is now a politician – a Labour MP for Birmingham South. So, rather than the usual predicaments with other gangsters, it seems he’ll be facing a different kind of foe in the corridors of power in London. Meanwhile, Tommy’s brother Arthur – played by Paul Anderson – will still be ensconced in gangster life in Birmingham, but using Tommy’s new found political ties for their own advantage, naturally. 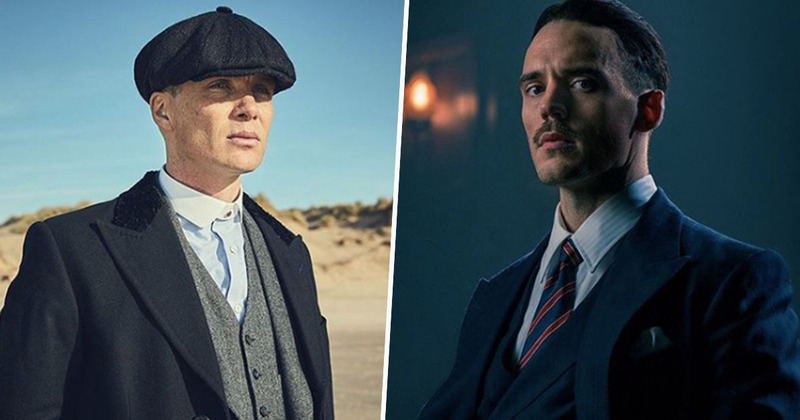 Though there have been rumours of a Peaky Blinders film, the are also reportedly two more series in the pipeline. While the show’s creator, Steven Knight, told The Birmingham Mail he plans to end the show at the ‘first air raid siren of the Second World War’. As season five starts in 1929 then, it seems we’ve got the Shelbys sticking around for a few more years at least, and there’s nothing wrong with that.